Leadership Music recently hosted a quarterly Off the Record with special guest K. T. Oslin, who was interviewed by Leadership Music alum Robert K. Oermann. The sold-out event was a joint lunch-and-learn between Leadership Music and SOURCE. 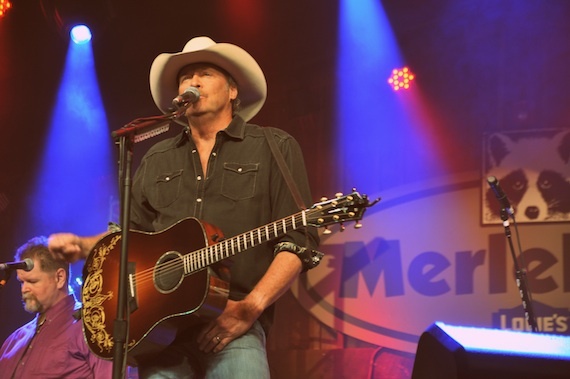 Alan Jackson headlined the first day of the 27th annual Merlefest. The Country star performed songs from his project The Bluegrass Album, which spent more than four months atop Billboard‘s Bluegrass Album Sales chart. Jackson’s backing band included several top-notch bluegrass musicians, including Scott Coney (acoustic guitar), Sammy Shelor (banjo), Tim Crouch (fiddle), Tim Dishman (bass), Rob Ickes (dobro) and Ronnie Bowman and Don Rigsby (vocals) – all of whom played on The Bluegrass Album – along with Sierra Hull (mandolin). Alan Jackson performs at MerleFest. 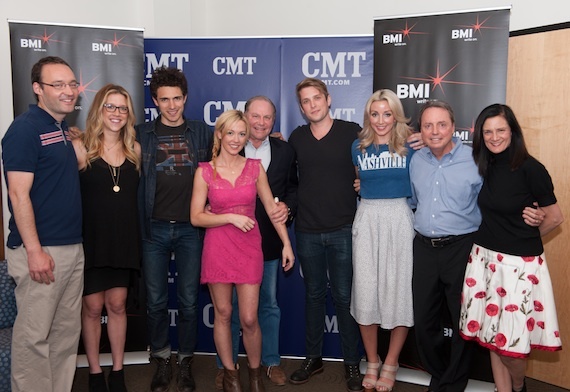 For the second year, CMT Edge and BMI co-hosted an event as part of the Nashville Film Festival. Top music supervisors from across the country were treated to acoustic performances in the round by Ashley Monroe, Amanda Shires, Marc Scibilia and Steve McMorran of Satellite at the CMT studios. 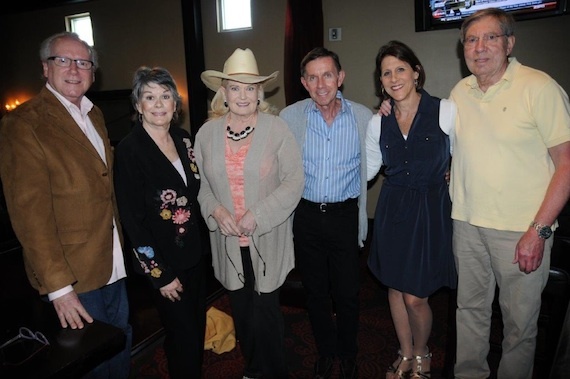 Pictured (L-R): Craig Shelburne, CMT.com senior editor; Penny Everhard, BMI associate director of writer/publisher relations; Marc Scibilia; Amanda Shires; Martin Clayton, CMT.com vice president; Steve McMorran (Satellite); Ashley Monroe; Jody Williams, BMI vice president of writer/publisher relations; Leslie Fram, CMT senior vice president of music strategy. 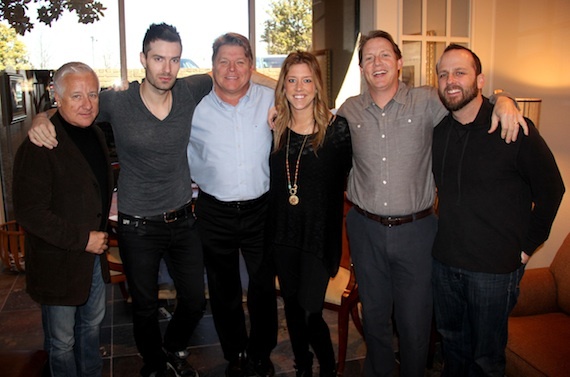 Singer, songwriter and producer David Fanning stopped by Nashville’s BMI offices to celebrate his debut single, “Drink You Away.” Fanning is best-known for his work with Thompson Square and Parmalee as part of the production group New Voice.